Join us for a time of live music, community, and a message about Jesus. This message is for people of all ages, so bring your friends, family, neighbors, and coworkers! Zootown will be hosting seven services Saturday through Sunday at our Missoula Campus and in Victor at the Victor High School. Childcare will be provided ages infant through 5th grade at all Saturday services and at the 9a and 11a services at both locations. Sign language translation available for the 5p Saturday Service and 9a Sunday Service at the Missoula Campus! Saturday: 5p. 7p. Sunday: 7a. 9a. 11a. Zootown Church believes Kids in the Zoo is the most important ministry we do. Our Kids in the Zoo area has been renovated specifically with children in mind. With inviting atmospheres, hands-on learning opportunities, singing and music, games, and biblically-based messages, children of all ages will have a way to learn how much Jesus loves them. Child care is available at all Sunday services. Zootown’s kids volunteers have been interviewed, background checked, and trained to provide the best possible experience for your child. 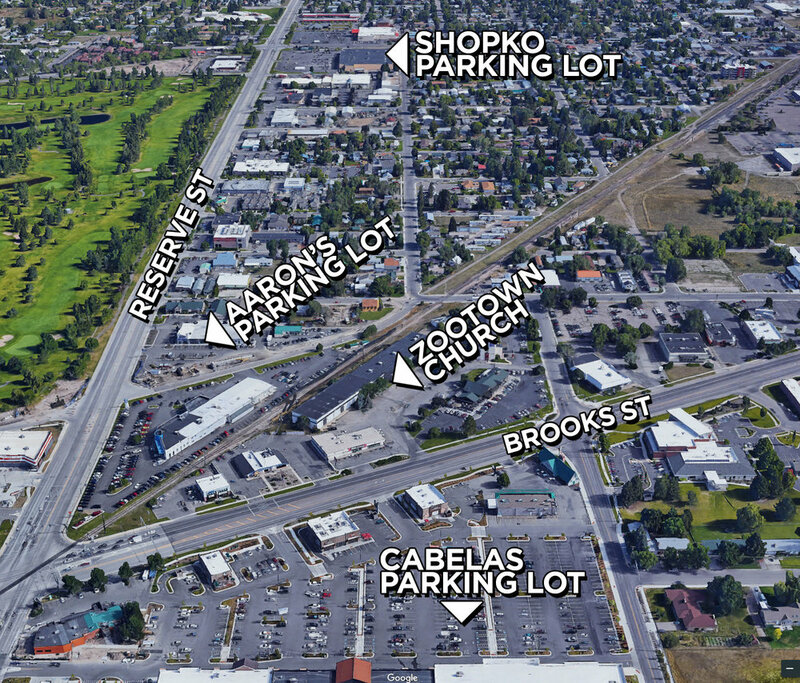 MAP LOOKING NORTH: Parking available at Aaron’s, Cabela’s, and street parking as available in addition to the Zootown Church Parking Lot. Parking will be available at Shopko and shuttles provided for Sunday 9a and 11a services. 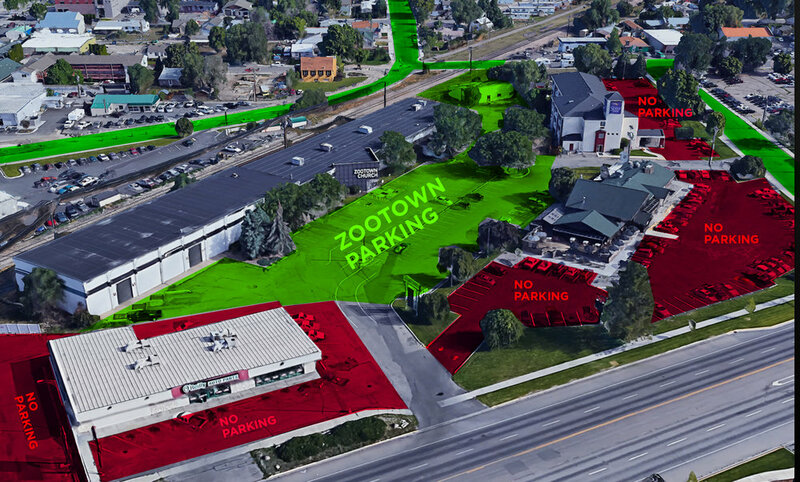 Please respect our neighbors and only park in the green areas around Zootown Church: Missoula. Parking is available on site during our Saturday 5p/7p and Sunday 9a/11a services. For Sunday 9a and 11a services, shuttles will be available at Shopko’s North parking lot on South Avenue. Buses will be every 10 min starting at 8:30a and running until 1p. We ask that you DO NOT park at Sleep Inn, Paradise Falls, O’reilly’s, or Maui Nights. Parking may be available along Dore Lane, Old U.S. 93, at Aaron’s Electronics and Kohl’s/Cabela’s parking lots. Parking is available on site at the East side of the Victor High School. Entrance to the Mary Stuart Rogers Performing Arts Center is available on the East side of the High School (by the football field) or from the main parking lot on the Southwest side of the High School.